Memorial Day weekend has always marked the start to our summer hiking season. It’s when the Green Mountain Club opens the high-elevation sections of the Long Trail to the public after the spring thaw and mud season. By the time the trails are ready for us, my partner, Tristan, and I are beyond ready for them. 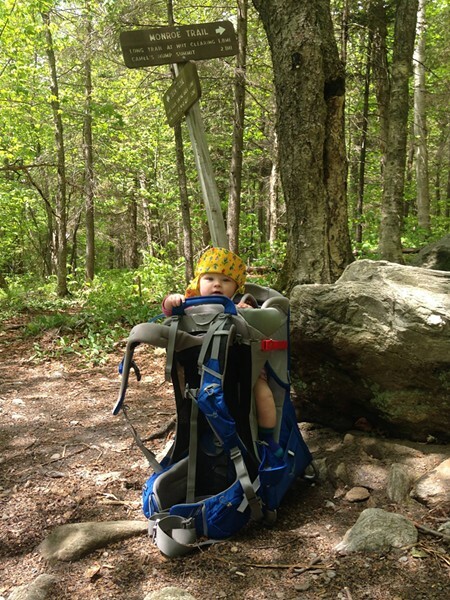 Every year we take the three-day weekend to backpack a section of the Long Trail. Tristan and I did the whole trail together in 2001 as an end-to-end hike. These shorter outings allow us to relive some of our favorite parts. On Memorial Day weekends past, we've hiked from Brandon Gap to Middlebury Gap, from Lincoln Gap to Appalachian Gap, and from Bolton Notch to Smugglers' Notch. We took last Memorial Day weekend off because I was pregnant. This year seemed like the perfect opportunity to introduce our 6-month-old daughter, Elise, to backpacking. We planned to hike the Monroe Trail to the Hump Brook Tenting Area, a favorite campsite on the side of Camel's Hump. We would set up camp there, then hike to the summit of Camel's Hump. We’d return to our campsite, cook dinner on our backpacking stove and fall asleep next to the babbling Hump Brook. Unfortunately, Mother Nature had different plans. With a forecast of thunderstorms and heavy rain overnight, we learned our first lesson as backpacking parents: Be adaptable. Since we didn't want to introduce Elise to sleeping in a tent on a scary and stormy night, we reassessed and decided to turn our overnight trip into a day hike. The weather looked clear for Tuesday — and our work schedules afford us some flexibility — so we chose to hike Camel's Hump that day. Leaving the overnight gear at home also meant that our packs would be much lighter, or so we thought. Truthfully, neither of us could believe how hard the hike was! The trails are steep and our route was about 3.5 miles each way. With Tristan carrying Elise in an Osprey hiking carrier, he guessed he was packing about 35 pounds — including water, a rain jacket, an extra layer and his camera. In my day pack, I carried the snacks, more water, rain gear and warm layers for Elise and me. I certainly had the lighter of the two packs, but it was still more weight than I was used to carrying on a day hike. To accommodate, we took breaks frequently and kept a slower pace than we’re accustomed to. As we climbed over rocks and crossed streams, Elise peered out from the side of her carrier. She babbled, squeaked and squawked, watching Tristan hike over rocks and our dog, Odin, play in streams and sniff the sides of the trail. She looked up at the trees, too. Then she fell asleep in her carrier with her hand on Tristan's back. We plodded on and eventually came to a clearing just below the summit. We took our packs off and rested before pushing through the final steep and craggy climb to the top. The view at the summit was incredible. White, puffy clouds floated across a brilliant, blue sky and cast shadows onto the valley floors below, and it seemed like there were a hundred shades of green around us. The Long Trail stretched out to Mount Ellen to the south and Mount Mansfield to the north — a sea of mountaintops in both directions. A stiff breeze was blowing so we bundled up Elise in fleece pants and top, a down sweater, a wool hat and wool socks. She seemed to take it all in: Other hikers, dogs barking, sun, wind and long-range views. We were so glad to share one of our favorite mountains with our daughter. This was what parenting had always looked like in our dreams. Our favorite 4,000-foot mountain in Vermont, Camel's Hump, was the perfect first hike. 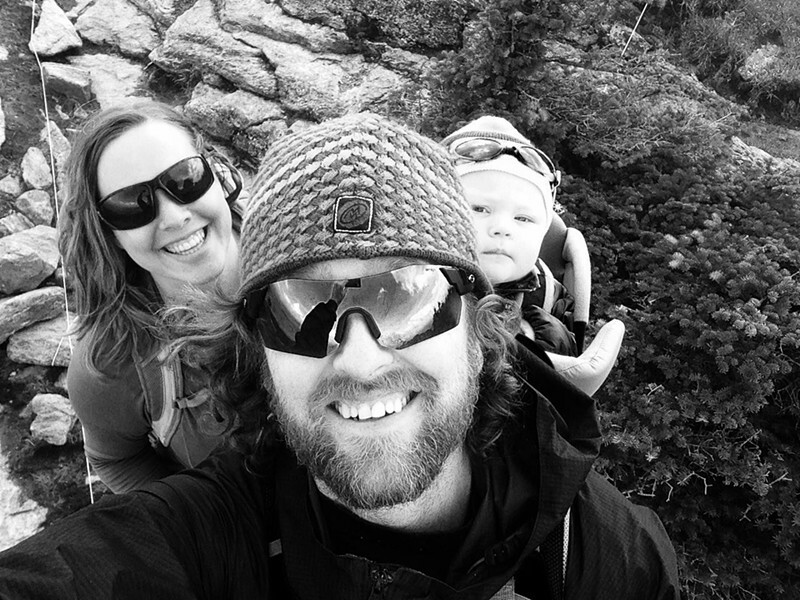 Most importantly, letting go of our own expectations for big miles and overnight camping allowed our hike to take shape into a fun family outing.